Dry eyes or dry eye syndrome (DES) is an ongoing condition that treatments may be unable to cure. 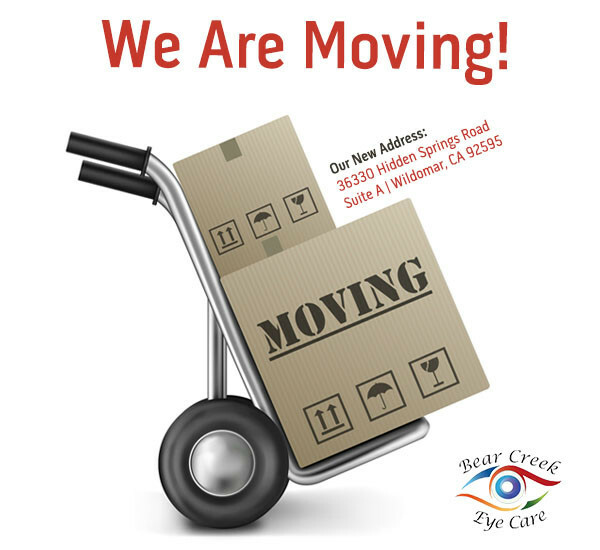 But the symptoms of dry eye—including dryness, scratchiness and burning—can usually be successfully managed by your Wildomar optometrist. Your optometrist, Dr. Wilson, may recommend artificial tears to alleviate the dry, scratching feeling and foreign body sensation of dry eye. These lubricating eyedrops are available over the counter. Prescription eye drops for dry eye go one step further: they help increase your tear production. If you wear contact lenses, be aware that many artificial tears cannot be used during contact lens wear. You may need to remove your lenses before using the drops. Wait 15 minutes or longer (check the label) before reinserting them. For mild dry eye, contact lens rewetting drops may be sufficient to make your eyes feel better, but the effect is usually only temporary. Switching to another lens brand could also help. Speak to your eye doctor during your contact lens exam about problems you have with lenses. Eye doctors sometimes recommend special nutritional supplements containing certain essential fatty acids to decrease dry eye symptoms. Drinking more water may also relieve symptoms. If you suffer from any of these symptoms, contact us at our Wildomar/Murrieta Vision Center or set up an eye exam. We also treat eye emergencies!